The new musical CARNABY STREET premieres at the Hackney Empire, from Saturday 6th to Sunday 14th April, prior to a UK tour until June 29th. Directed by Bob Tomson, with design by Matthew Wright, lighting design by Nick Richings and choreography by Carole Todd. 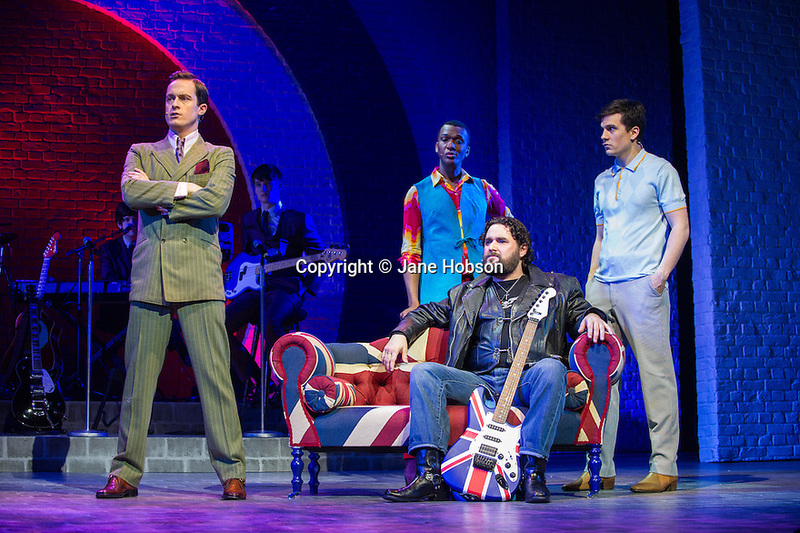 Picture shows: Hugo Harold-Harrison (Arnold Layne), Paul Hazel (Lily the Pink), Mark Pearce (Wild Thing) and Aaron Sidwell (Jack).